Your child is back in the classroom, so now it’s time for you to think in the box. Yes, you read that correctly; we do not want you to think out of the box, we want you to think IN the box. That is, in the school box, of course! Shopping for supplies is always an activity children eagerly anticipate, as they get ready for the new school year to begin. So, along with your children, you head out and go shopping—a last summer activity. With supply list in hand, together you and your child scan the fully stocked shelves and are ready to make some choices about which supplies you are going to purchase. Which color school box will you choose? Neon or classic colored markers? Mechanical pencils or No. 2 pencils? Making these decisions and having so many options is all part of the fun and excitement. As a parent, you may not particularly care what color your child’s school box is. However, you should care about what is INSIDE the school box. 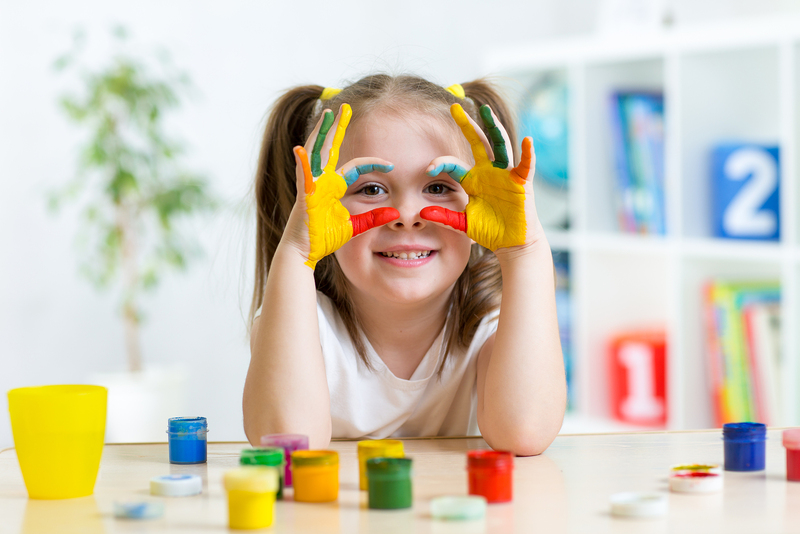 Often overlooked as just a container to organize your child’s arts-n-craft supplies, the school box, if prepared properly and with thought, can help your child succeed in the classroom and can enhance their learning. Here is what we mean: Children can struggle in all sorts of ways in a classroom. Some children have trouble grasping their pencils and therefore won’t complete assignments. Some children can’t sit still and instead jump out of their seats and stir up trouble in the classroom. Others just tend to zone out and daydream. While there may be many factors and causes for the various ways children behave, we have selected two common causes, and illustrated how these causes can affect students in a classroom setting. If your child is exhibiting some of these behaviors, try equipping his school box with tools that will help him overcome these challenges and better enable him to focus in the classroom. We will tell you what may be helpful to put in the school box for each scenario. Sensory processing disorder is a condition in which incoming sensory information (visual, tactile, auditory, olfactory, gustatory, proprioceptive and vestibular) received from the environment gets processed in an unorganized way, thereby affecting outgoing reactions. Because these sensory signals are not interpreted effectively, responses to even benign stimuli can be dramatically altered and negatively affected. As a result, performing everyday activities involving touching, hearing, smelling, tasting and moving one’s body can become daunting tasks. There are two categories of children with sensory processing difficulties, those who have a high neurological threshold and those who have a low neurological threshold, and within each category, there are 2 ways a child can present. A neurological threshold refers to how much sensory input is needed for a neuron to recognize the sensation and become aroused. For example, think about how hard someone has to tap your back before you turn around. With what feels like just the right amount of pressure, you will turn around. However, if the tap feels too light, you may not turn around at all, and the person tapping you might think you are ignoring him. If the tap feels too hard, you may feel like someone is hitting you rather than just trying to get your attention. In this case, having a high or low threshold will affect the way you react to the tap, and thereby affects your social skills. A person’s neurological threshold is a status of how he interprets sensory stimuli. Each person must meet his neurological threshold in order for his sensory system to work correctly; if that threshold is not met he will not function at an optimal level (and he will not be able to learn and attend to daily routines) since his neurons have not been aroused appropriately. As an adult, there are many things you do throughout the day to help meet your neurological threshold, and to keep alert, calm and settled. You do these things naturally and often don’t even realize what exactly you are doing. For example, you may find that you pace when you are nervous; this movement helps you stay calm. You may shuckel (sway) while you are davening (praying); this movement helps you concentrate on the words you are saying. While listening to a lecture, you may find yourself clicking the top of a pen; this movement also helps you concentrate on the lesson. High Threshold: Someone with a high neurological threshold requires more stimuli to arouse his sensory system. Sensory Seekers: Someone who is a sensory seeker looks for input to meet their high neurological threshold. Children who are sensory seekers/cravers may love to move, are constantly on the go, touch everything and crash into things. In a classroom, this child may be jumping out of his seat, running around the classroom, or constantly touching and bothering other students. Poor Registration: Someone with poor registration has slow or delayed responses to sounds, sight, or touch because these stimuli are not strong enough for their high threshold. 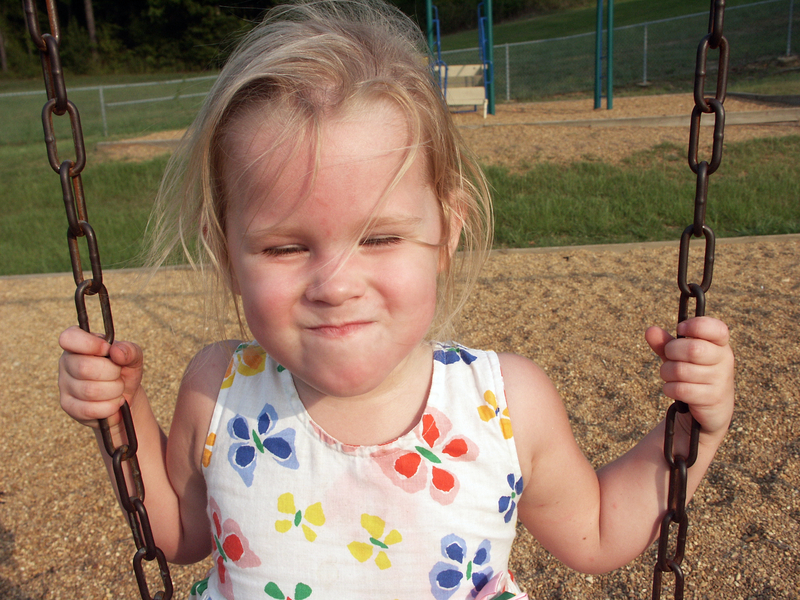 Children who have poor registration may not notice a messy face, tend to exhibit a high pain tolerance, are clumsy, and often have low muscle tone. Because the child is not meeting his neurological threshold, in the classroom, this child may appear to be completely unmotivated, dreamy, zoned out and not ready to learn. Low Threshold: Someone with a low neurological threshold requires fewer stimuli to become aroused, and he is therefore more easily overwhelmed. 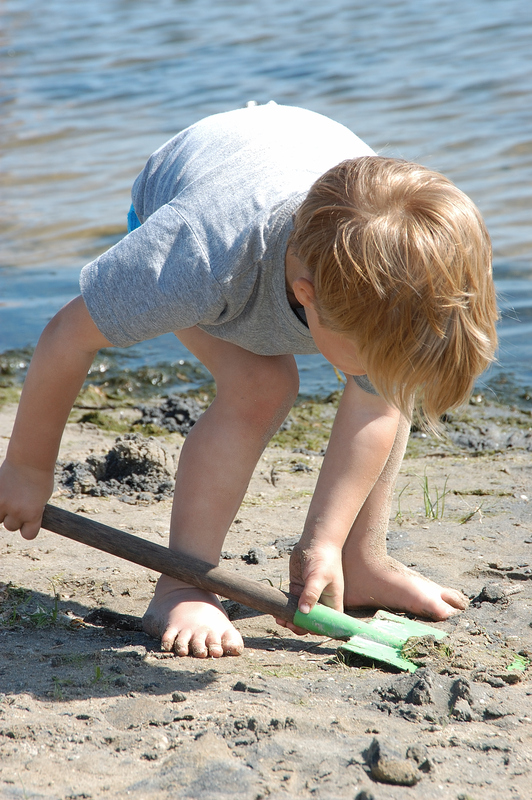 Sensory Avoidant: For this child, typical stimuli are too strong and he therefore rejects everything. He becomes rigid and creates routines that he needs to follow to avoid stimuli. Typically a sensory avoidant child is moody or fussy, is a picky eater, dislikes typical grooming tasks, certain textures or messy play, and becomes overwhelmed by busy environments. In school, he may not touch glue when the class is doing an arts-n-crafts project or he may create trouble at recess because he tends not to feel comfortable on the playground or is upset by someone touching him. Sensory Sensitivity: For this child, typical stimuli is too strong and he therefore has heightened reactions to his surroundings. In the classroom he is highly distractible and can’t stay on task. He looks around the room a lot and jumps from one thing to the next. In each of these instances, whether a child has a high or low threshold, adding some tools to your child’s school box to transform it into a “fidget box” can help your child get the stimulation he needs to be better able to focus. A sensory seeker will not have to seek inappropriate stimuli if he has a fidget toy, since the toy will provide it for him. A child with poor registration doesn’t usually go after stimuli so he isn’t at his optimal level of focus, but if he is given a fidget toy he will get the stimulation he needs to meet his neurological threshold and become more focused. A child with a low threshold may find a fidget helpful, as it will provide safe input and therefore help organize his sensory system so that when a new more threatening input comes along, the sensation will not be alarming and will be better tolerated. Another area that often affects children in the classroom is low muscle tone. Low muscle tone can be caused by a variety of conditions, and is often a symptom in a child with poor registration, as mentioned above. Muscle tone refers to the amount of tension in a muscle at a resting state. With normal muscle tone, a child is able to perfectly control his muscles, as the muscle is able to contract properly upon command. When a child has low muscle tone, also known as Hypotonia, their muscles do not have enough tension, triggering ineffective contractions and thereby causing loose or floppy movements. A child with low muscle tone often exhibits delayed motor skills, muscle weakness, and/or coordination challenges. In school, a child with low muscle tone may sit with a slouched posture, may have trouble holding his head up when sitting at a desk and may be seen propping his head up with his hand, or may appear to have a poor attention span. For this, taking standing breaks is helpful, as this releases the muscles and gives them a break. A child with low muscle tone may also have difficulty with handwriting and drawing activities. If he is having trouble with his handwriting, he is likely not getting enough feedback from the pencil—he doesn’t feel the weight of the pencil. Additionally, weak shoulders or hand muscles can lead to a poor pencil grip causing ineffective writing skills and aching hands. Children who display incorrect pressure (hand writing is very light) or poor grasping patterns may not complete assignments or they may stir trouble when they should be attending to work. Having a pencil grip in your child’s school box will help them properly place their fingers on the pencil and help strengthen the proper muscles. A weighted pencil can also be added to the box, as it will provide increased sensory feedback needed for the child to gain control of the pencil. Be aware that there are multiple kinds of pencil grips, so be sure that the grip that you give your child is the grip he needs to help correct his current grip. An occupational therapist will be able to advise you on which is the proper grip for your child. Crayons: Thicker and shorter crayons are easier for a child to hold because it helps position his fingers better. If a child is not ready to hold a regular pencil or crayon and is presented with one, he may adjust his grasp and modify it inappropriately just to be able to hold on, and he then becomes used to an improper grasp. Since changing a grip later in life is much more difficult, try to buy thick crayons and pencils while your child is young. Using crayons in nursery, before introducing pencils, helps develop good grasping habits. Markers: Like crayons, thicker and shorter markers are better for a young child than skinny markers, as it will help them develop better grasping habits. Scissors: Kid-sized scissors are a must. Adaptive spring scissors are also great to strengthen little hands while squeezing closed and they spring open to help kids whose hands are a little too weak to open the scissors independently. Scotch tape: Pulling, tearing, and rolling tape is challenging and great for fine motor development. Glue stick: The twisting motion is great for improving fine motor skills. This is also a good option if your child does not like the feel of regular glue. Pencils: Buy mini colored pencils and golf size pencils since shorter pencils promote better grasp. Mechanical pencils: These can be great for students who press too hard when writing. Since the lead breaks if pressed to hard, this kind of pencil can help a child learn to press more lightly. However, while this works for some students, other students become too frustrated when the pencil tip keeps breaking. For these students, try using an erasable pen or a weighted pencil. Each child is unique, and if your child needs assistance in school he should have a customized plan to help him thrive. However, don’t be discouraged if your child is acting up in school. If your child has sensory processing difficulties or low muscle tone, or you just want to improve his fine motor skills, try some of the tips we presented above and make sure his school box is equipped with supplies that will help him develop muscle strength and proper grasping techniques, as well as fidget toys, if necessary. Collaborate with teachers and other professionals as well and ask for suggestions regarding how you can help your child enhance his learning. Remember, there are many reasons why children have difficulty behaving in the classroom, and if addressed properly things can often improve. If you suspect your child is experiencing any sort of developmental delays or challenges, a screening at an early age is best. Sensory or Behavior? So…which is it?